Meter display toggles between two totalizers, one which is resettable for batches. 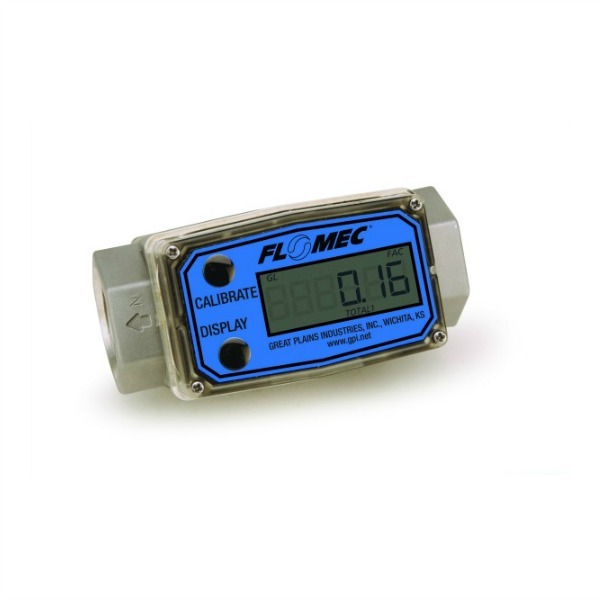 Meter does NOT display flow rate. 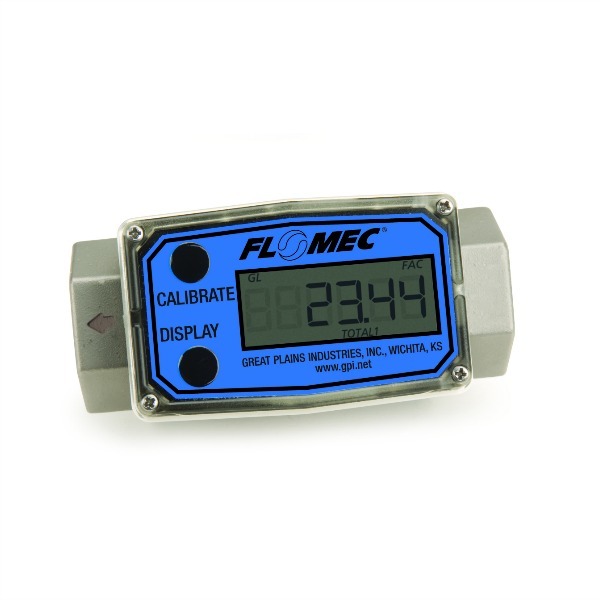 The GPI Flomec Digital Turbine Flow Meter is made from lightweight nylon and features an LCD display that is accurate to +/-5% of the reading. 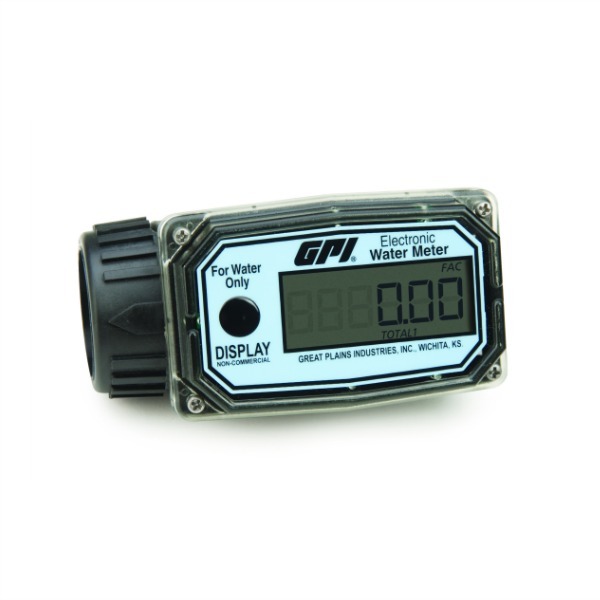 This economical turbine meter is designed for flow rates from 3 to 30 GPM and is factory calibrated in gallons for use with water. 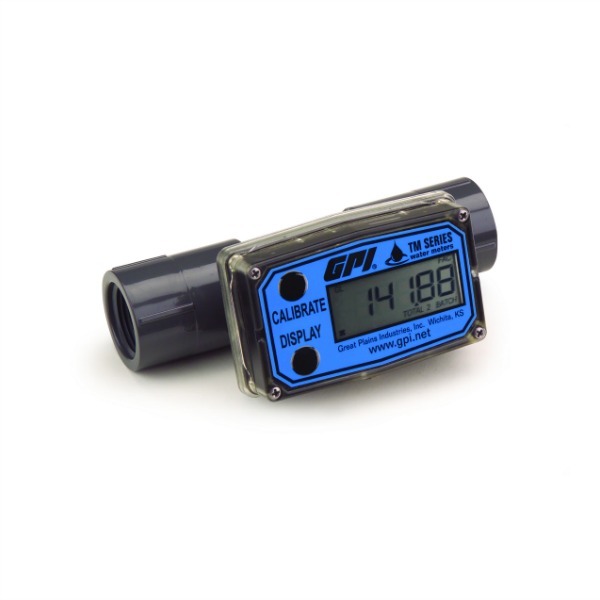 The lightweight meter mounts easily to the end of a hose and is ideal for use with free flow gravity systems or combined with an electric pump.